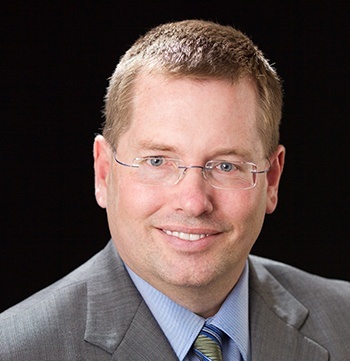 Recently, Mark Graban, VP of Innovation and Improvement Services interviewed next week's webinar presenter Kevin Meyer, on the KaiNexus Continuous Improvement Podcast. Let's take a look at that interview and get psyched for the upcoming webinar! Meyer is a co-founder and partner at Gemba Academy. He has over 30 years of manufacturing leadership experience in the automotive lighting, telecom electronics, and medical device industries. He has been responsible for lean transformations at Sylvania, Abbott Laboratories, Newport Corporation, and most recently as President of Specialty Silicone Fabricators. He guest lectures on business, manufacturing, and leadership topics at his alma mater Rensselaer as well as CalPoly. Meyer is on the board of directors of two technology companies and two regional public policy councils, and actively supports early stage entrepreneurship by investing with SLO Seed Ventures and mentoring startups at the SLO HotHouse. I think the story of how Meyer got introduced to Lean is fascinating. It was back around 1996 when he was working for a large medical device company and was transferred out to run a facility in Utah. In the interview, Meyer said that "when you're part of the corporate world, you don't ask questions when you get transferred, you just go." Turns out, some questioning might have been prudent; he arrived to find that this facility was running 24 hours a day, seven days a week, 365 days a year - and was still running 6 months behind schedule to downstream plants. As Meyer put it, "what do you do in that situation, besides panic?" Listen to the Interview and Subscribe to the Podcast! This situation drove Meyer to make some calls, during which he was introduced to the Association for Manufacturing Excellence. AME taught him about Quick Changeover, which is the amount of time it takes to "change a piece of equipment from producing the last good piece of a production lot to the first good piece of the next production lot." Using this approach, they were able to get back on track - and Meyer was hooked on Lean. Kevin Meyer has been in the Lean blogging scene since before 2007 and finds blogging to be an excellent way for Lean practitioners to learn from and education one another. He has an active blog, as well as appearing regularly on the Gemba Academy blog. Recently, Meyer published The Simple Leader: Personal and Professional Leadership at the Nexus of Lean and Zen, a book which contains a lot of concepts he's been thinking about and working on over the years. In the webinar next week, Meyer will be discussing where the concepts of Lean and zen overlap. He became interested in the zen tradition around 2004, which he describes as an offshoot of Buddhism with a secular side. Zen places great emphasis on minimalism, reflection, and understanding the current state - principles which appealed to Meyer as compatible with a Lean philosophy. As he began to apply these principles to his life, he found that he became more productivity both personally and professionally. 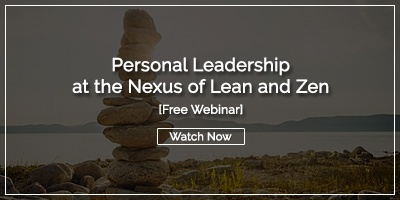 Join us for next week's webinar to learn more about Personal Leadership at the Nexus of Lean and Zen with Kevin Meyer! I don't know about you, but I'm pretty stoked to learn more about how these two philosophies overlap.